The celebration of Christmas, and the holiday season leading up to the special day is one of renewed excitement for most people. However you look at it, the period leading up to Christmas Day is a busy time of year. Shopping for gifts and preparing are a priority, but most important of all, Christmas is a special time to celebrate with family and friends. On the subject of gift giving however, one of the new Christmas Albums in 2012 would make a wonderful Christmas gift this year. 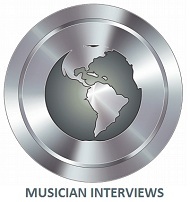 While I operate a completely non-profit site, many of the artists I represent are offering special discounts on all of their music in either CD or digital mp3 formats. This time of year also marks a period in time when artists are offering sale discounts on all merchandise including DVDs, apparel, and a large variety of gift items. There are too many artists with special sale pricing, but a good place to start is the 10 artists with new Christmas Albums in 2012. While you are at their website to sample or purchase their brand new Christmas album, many of the artists below have related merchandise so check out their selection of gift items too. Find more popular new Christmas albums at Amazon.com. Photo by – Anastasiya Zalevska. 2. Home for Christmas by Celtic Woman. 3. A Choral Christmas by Cusco. 4. Christmas Spirit by David Arkenstone. 5. O Christmas (Solo Piano) by Isadar. 6. Christmas Romance by Jim Brickman. 7. Embracing Winter by Jim Hudak. 8. Christmas by Kevin Kern. 9. Peace on Earth by Kitaro. 10. Candlelight Christmas by Mannheim Steamroller. Christmas music has always been a popular topic here at New Age Music World. There were so many new age Christmas albums from 2011 that it has been a challenge to tell you about every single one. Some of the newest Christmas albums can be seen in an earlier article I wrote entitled; Best Christmas Albums for Holiday Music. The 2002 music duo Randy and Pamela Copus have one of the most popular new age Christmas albums around too. Christmas Dreams by 2002 is a wonderful Christmas album they released in 2008. Randy and Pamela’s Carol of the Bells animated video has received over 868,300 views, so this gives one an idea just how popular 2002’s music has become! Believe by 2002 is their soon to be released project, plus 2012 marks the year Randy and Pamela Copus of 2002 celebrate their twentieth year anniversary as a band! Below is a Christmas video of Carol of the Bells by 2002 from their Christmas Dreams album. On the YouTube page for 2002 you can view a song video from their new Believe album Dreams of Peace. 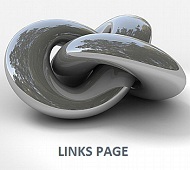 Visit 2002music.com and 2002’s Amazon page. Merry Christmas from New Age Music World! 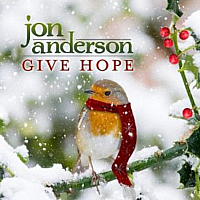 Jon Anderson has a new Christmas song called Give Hope available as an MP3 download, just in time to begin the holiday season in style. Speaking of style, if you look at the photo you will see a trendy songbird on the album cover wearing a red scarf. It is a photo illustration, but this bird is one of the most fashionable Robins ever! Give Hope is a new revision of Jon Anderson’s 3 Ships (22nd Anniversary Edition). I couldn’t find very much information on his new song release but there are plenty of locations where you can sample Jon Anderson’s Give Hope. It features Jon naturally, along with a children’s choir which really adds to the festive atmosphere. This song is a special Christmas wish from Jon Anderson! 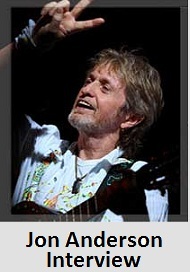 Visit jonanderson.com and sample on his music page, and his iTunes page. 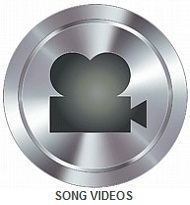 Watch the 2011 song video of Jon Anderson’s Christmas song – Give Hope song at YouTube. Album cover photo illustration courtesy jonanderson.com. 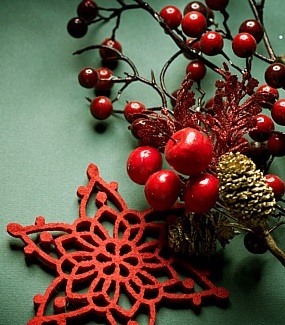 Christmas is the most important holiday of the year for most people. While this is especially true for marketing retailers, they too, along with the majority of people also recognize the supreme reason for the season, and truly enjoy the building anticipation during the preceding days, weeks and months leading up to Christmas Day. If you are like me, simply listening to Christmas music can help one transition into the holiday frame of mind. And while everyone has their own individual pace for getting into the Christmas mood sooner or later, I can always depend on holiday music to renew my Christmas spirit. Listening to popular Christmas songs prompts an association of my own past holiday experiences with family and friends. Likewise there is a vast selection of music to choose from since many popular artists past and present, have produced outstanding holiday music for our enjoyment over the years. The best Christmas albums in all popular genres including new age are very comparable since many artists compose their own revision of traditional Christmas songs. It seems nearly everyone is familiar with mainstream traditional songs, so for many us there is even less of an apple to oranges comparison in terms of genre. Sometimes they are so much alike the easiest way to classify their melodies is to simply call it holiday music. 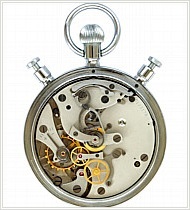 Along with the Christmas holidays is the yearly task of finding a suitable gift for family and friends. One gift idea I would like to suggest is the gift of music, and it doesn’t matter whether your gift is in the form of an mp3 or CD. Music is a gift idea that is relatively inexpensive, and most people will enjoy receiving any time of the year. The economical gift of music can be the perfect choice for many special occasions including birthdays, and in some cases, weddings and anniversaries. 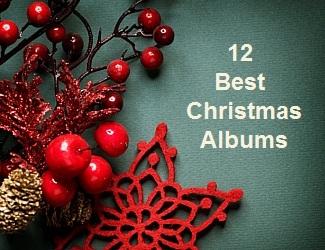 Finding the best Christmas albums for your holiday listening experience is pretty easy too. There is an increasing number of outstanding Christmas albums I would consider my favorites so permit me to tell you about 12 Christmas albums in the New Age genre. Listed in the order of the artist tags at my site, the 12 best Christmas albums are listed by alphabet using the artist’s first name. If you are interested in popular holiday albums for entertaining or gift giving, below is my list of the best Christmas albums with direct links so that you may sample or purchase my holiday music recommendations. 12 Best Christmas Albums for Holiday Music. 1. 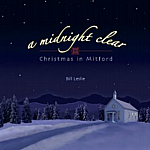 A Midnight Clear – Christmas in Mitford (Soundtrack) by Bill Leslie. A Midnight Clear is an instrumental album with 16 songs of traditional and original music. Bill Leslie has another sensational new release people of all ages can enjoy listening to with A Midnight Clear. 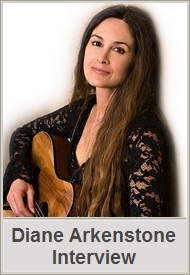 Drawing his inspiration from author Jan Karon and her best-selling Mitford series, nine instrumentalists join Bill Leslie on the newest release in November 2011 of the 12 Best New Age Christmas Albums recommendation. While Bill Leslie is recognized as an award winning musician, Bill Leslie is a 5 time Emmy Award winning journalist and newscaster for WRAL television network, and a recipient of multiple Journalist of the Year awards in North Carolina. 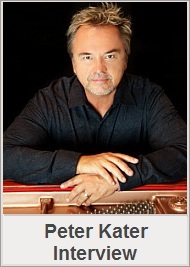 He is also the composing director and soloist of his traditional and Celtic fusion music group Lorica. 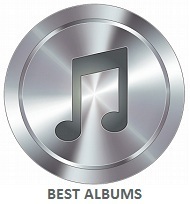 In 2010 Simple Beauty won an award for Best Instrumental Album – Acoustic at Zone Music Reporter. Visit billleslie.com to sample or purchase A Midnight Clear by Bill Leslie, or find at Amazon.com. 2. Holiday High by Cadence Spalding. Holiday High is an inspiring new age Christmas album with 10 songs with a intermingling of traditional and original holiday music from 2009. The angelic vocals by Cadence Spalding are a beautiful performance on Holiday High. The innovative talents of mixing and layering are introduced by another respected new age artist. Together with beautiful vocals by Cadence and the other artist’s special creative touch, Holiday High is a release far apart from many other Christmas albums. Holiday High is a traditional Christmas album displaying the serene musical qualities of two great artists who have earned a respected position in the music world by their individual albums. 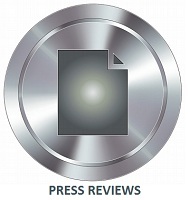 Save The World by Cadence Spalding is another New Age release worthy of your consideration. 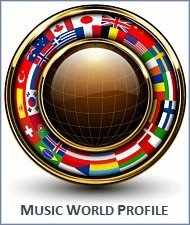 While Save The World is not a holiday release, Cadence Spalding’s debut release won a Best New Age Album Award in 2009 at another blog. 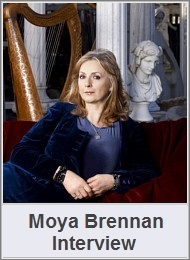 Her classical new age popular music is a pleasant mix of ballads finely tuned to perfection in the purest sense, and best describes the question of “what is new age music” best. Visit CadenceSongs.com to sample and purchase or find Holiday High at Amazon.com. 3. A Christmas Celebration by Celtic Woman. 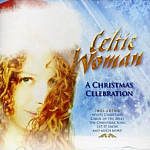 A Christmas Celebration is a Celtic instrumental vocal album from 2006 with 15 song revisions of traditional holiday music performed with grace and style. This is the second release from Celtic Woman who is made up from a female musical ensemble with Irish origins. Recognized internationally by their charming vocals with instrumental backing, Celtic Woman is a quality group who has earned a worldwide fan base and escalation in popularity over the years. 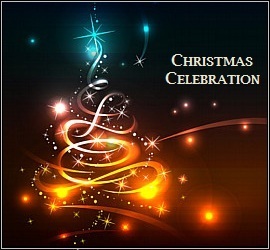 A Christmas Celebration was certified a Gold album by RIAA in 2009 with a volume of sales reaching over 500,000 copies. Along with international concert tours in the United States and overseas, their PBS television series with special orchestra performances on CD and DVD and over 6 million in album sales, they have entertained a multitude of people worldwide. The DVD releases A New Journey–Live at Slane Castle is one of their most popular. The CD/DVD editions of Celtic Woman, A New Journey, The Greatest Journey, & Songs From The Heart are equally popular. The sixth and seventh most current albums from 2011 are Celtic Woman: Lullaby & Celtic Woman: Believe. 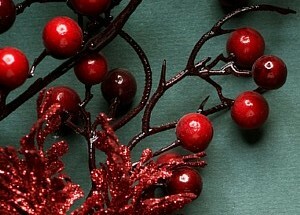 Visit celticwoman.com to sample or purchase A Christmas Celebration by Celtic Woman, or find at Amazon.com. 4. And Winter Came by Enya. And Winter Came is a 2008 release from superstar Enya with 12 holiday songs with a winter theme. With over 75 million in album sales worldwide, it’s no exaggeration the Irish born Enya is loved by millions by her collection of Celtic, new age, adult alternative repertoire. And Winter Came recalls the enchanting moments of the season with brilliant beauty. Enya is a phenomenal female artist who has won four Grammy Awards for Best New Age Album, in addition to an Academy Award nomination. Easily becoming one of the most popular award winning female artists in history, Enya and her trademark melodies are the hallmark of year round quality music. Whether Enya’s holiday album And Winter Came is your first choice, there are more great albums to choose from. The Very Best Of Enya is a popular chose, like Memory of Trees & A Day Without Rain which sold 15 million copies worldwide is a very popular choice. The album Amarantine from 2005 is another fine song collection, and we certainly can’t forget her early classic releases Shepard Moons & Watermark. Visit enya.com to sample or purchase And Winter Came by Enya, or find at Amazon.com. 5. Christmas Joy by Fiona Joy Hawkins. Christmas Joy is a brand new 2011 release with 11 songs of four original compositions and seven revisions on traditional holiday music. On Christmas Joy, pianist Fiona Joy Hawkins introduces a bold mixture of classical and jazz influences combined with world music rhythms and instruments of Didgeridoo, Gaelic, Paraguayan harp, soprano saxophone and stringed orchestra. Fiona even lends her vocals on this release. Musicians accompanying Fiona Joy Hawkins on piano and vocals are Philip Aaberg, Will Ackerman, Charlie Bisharat, and Eugene Friesen and Heather Rankin. Fiona Joy Hawkins Blue Dream album is a piano and instrumental collaboration with other professional artists that received top music honors and again extended the worldwide admiration for her work. 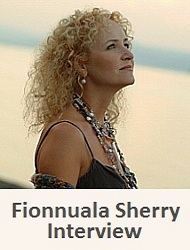 Fiona is a multiple awarding winning pianist who covers new age, classical, contemporary, jazz and world fusion music. Recognized internationally by her award winning piano and instrumentals, you can always depend on Fiona Joy Hawkins to create an exciting mix of songs that are without out exception, produced with quality. Visit fionajoyhawkins.com.au to sample or purchase Christmas Joy by Fiona Joy Hawkins, or find at Amazon.com. 6. Christmas for Two by Lisa Downing. Christmas for Two is a beautiful piano solo album with 12 original revisions of traditional holiday music. Lisa Downing has a special gift herself as a top solo pianist, and this is especially articulated on her holiday music release. Lisa’s collection of original arrangements in traditional Christmas melodies are a mixture of contemplative and energizing pieces which will inspire the holiday spirit in anyone who listens. Lisa Downing has produced another winning album with Christmas for Two. Lisa Downing did in fact win award recognition with Christmas for Two in NewAgeMusic.nu’s Best New Age Album Award in 2009, and an award for Best Holiday Album in 2010 at Zone Music Reporter. A Delicate Balance is her solo piano, new age, neo -classical release from 2009 that carries with it a special Lisa Downing touch. Along with her business endeavor and talent agency Vision Quest Entertainment, Lisa is a touring concert pianist who performs many concert venues each year, including corporate and private events. She is an esteemed concert pianist who has toured or performed with other renowned artists David Lanz, Suzanne Ciani, Liz Story, Joseph Akins and Peter Kater. Lisa Downing is a great artist who certainly belongs in this Best New Age Christmas Albums recommendation. 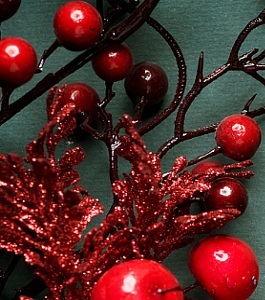 Visit lisadowning.com to sample or purchase Christmas for Two by Lisa Downing, or find at Amazon.com. 7. Keys of Christmas by Louis Colaiannia. Keys of Christmas is a piano, instrumental and vocal new age album with 9 songs in an assortment of original and traditional holiday music. 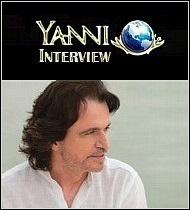 Due to be officially released on December 1, 2011, Louis Colaiannia is a talented songwriter, pianist and concert performer. When you listen to Keys of Christmas, you can tell right away the classically trained pianist who explores contemporary piano, jazz, new age and chill out music, has in fact produced a wonderful holiday arrangement. Enjoy the season in perfect harmony with Keys Of Christmas. 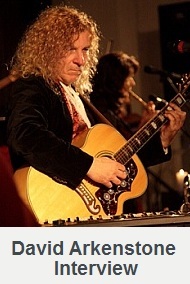 Louis Colaiannia’s album A Moment Between Eternities is a classic, instrumental new age contemporary release in 2011. The wonderful range in thought and feel with contemporary variations of classical orchestrations express the passion in which Louis composes every one of his album releases. The 9 songs on A Moment Between Eternities are like modern improvisations on classical music by graceful piano songs emboldened by contemporary instrumentals. 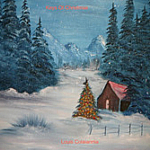 Visit louismusic.com to sample or purchase Keys of Christmas by Louis Colaiannia, or his page at Amazon.com. 8. Christmas Symphony by Mannheim Steamroller. Christmas Symphony is a new popular instrument album in 2011 with 16 of your holiday song favorites. This beautiful full symphony sound instrumental release is performed with the Czech Philharmonic Orchestra, and includes some vocals. Many of you may know this, but Mannheim Steamroller is the most popular Christmas music artist of all time. And that’s a fact. With 28 million in album sales in the United States alone, and their legendary concert tours, it’s easy to see why they have become so popular. The vast selection of Mannheim Steamroller holiday albums include Christmasville, Christmas Sweet Memo, Christmas Song, Celebration, Christmas Extraordinaire, 25 Year Celebration, Christmas Angel, Christmas Live & A Fresh Aire Christmas. With this long list of popular holiday albums like Christmas Symphony, it’s easy to find what you are looking for. 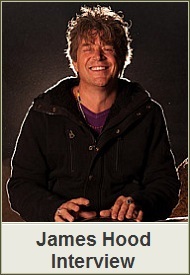 Mannheim Steamroller founder Chip Davis, and co-found Jackson Berkey have recently announced their annual holiday celebration “The Christmas Music of Mannheim Steamroller by Chip Davis” will soon begin their Christmas concert tour season, so check their website for concerts in your area. Check out their great selection of gifts too. 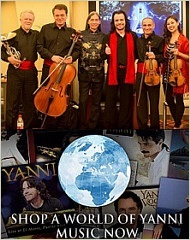 Visit mannheimsteamroller.com for Christmas Symphony by Mannheim Steamroller, or find at Amazon.com. 9. 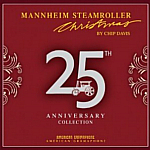 Christmas 25th Anniversary Collection by Mannheim Steamroller. The Christmas 25th Anniversary Collection from 2009 is a 2 CD collector’s edition of 25 song favorites. The 2 CD song playlist for this excellent edition was selected by Chip Davis himself. If you are like me there are songs you will remember from years past, but it is all about the technical sound enhancements and playlist that makes this release special. After the 25 year anniversary tour last year, Chip Davis continues the tradition of live concerts for audiences around the country. Mannheim Steamroller has also released a 2 CD disc album in their Fresh Aire Music Series that is a “best of the best” from the popular Fresh Aire series. The 25 songs selected by the band founding director Chip Davis are some of the most popular songs in the entire 8 disk Fresh Aire series. Mannheim Steamroller’s awards of 16 gold records, 7 platinum records and 4 multi-platinum records, Christmas albums and holiday concerts have made them the #1 Christmas music artist of all time. Visit mannheimsteamroller.com for the Christmas 25th Anniversary Collection by Mannheim Steamroller, or at Amazon.com. 10. Christmas from Mars by Mars Lasar. Christmas from Mars is a new age instrumental album with electronic designs on 10 traditional Christmas melodies. This “Best Christmas Albums” recommendation simply wouldn’t be complete without including the 2007 holiday release from Mars Lasar. Recognized for his versatility and talents in electronic instrumental music, Christmas from Mars shines by the aptitude and expertize he conveys in every one of his albums. Another new age artist performs angelic vocals on this album, so together their individual albums Holiday High & Christmas From Mars each are distinctive in their own way by their special creative touch and technical aptitude that sets their albums apart from many others in the new age Christmas album category. Both artists have earned a respected position in the music world by their individual albums and additional albums they have produced together. 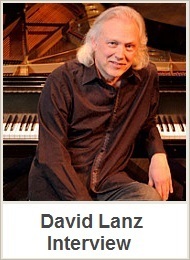 Mars Lasar’s most current is a solo piano album with 18 songs entitled Piano Moods From Mars. Visit MarsLasar.com to sample and purchase or find Christmas from Mars at Amazon.com. 11. Christmas Eve and Other Stories by Trans-Siberian Orchestra. Christmas Eve and Other Stories are a progressive rock adaptation of 17 songs from 1996 in a 1 CD or mp3 format. If you are familiar with the Trans-Siberian Orchestra and their theatrical linage of songs, then you know Christmas Eve and Other Stories is unlike any other artist in my top albums recommendations. While I can advise every one of their songs is non-traditional, I can also say every song is special! Trans-Siberian Orchestra has two very popular concept theme albums entitled Beethoven’s Last Night & Night Castle. Given their name, it does imply they are a Russian based act, but Trans-Siberian Orchestra is in fact a group based in the United States. Along with a huge fan following, their concert and album sales reach into the millions. Their just as popular Christmas themed album series are The Christmas Attic & The Lost Christmas Eve. Trans-Siberian Orchestra may leave you wondering if they are new age, progressive rock, symphonic, or classical music, but whatever classification you decide, you will definitely be impressed. 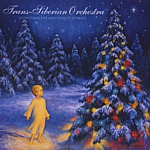 Visit trans-siberian.com to sample or purchase Christmas Eve and Other Stories by Trans-Siberian Orchestra, or find at Amazon.com. 12. 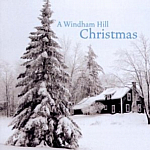 A Windham Hill Christmas by Various Artists. A Windham Hill Christmas is an excellent release from 2002 featuring 14 song revisions on some of your most familiar holiday songs featuring Windham Hill artists. In this case, by various artists is a good thing! 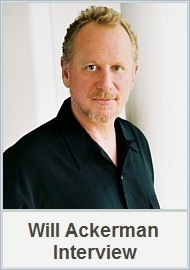 The Grammy Award winning founder of Windham Hill Will Ackerman even performs on the song What Strangers are These. 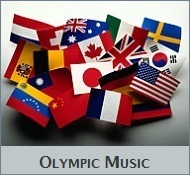 It’s a wonderful instrumental album with a variety of top artists in the music business. On A Windham Hill Christmas album there are so many top artists that space doesn’t permit me to list every professional. Popular artists on this release you are sure to recognize are Jim Brickman, George Winston, Tim Story, Tracy Silverman, Alex De Grassi, Liz Story, Paul Schwartz and many more. The hallmarks of this album are a relaxing, right at home feel you will notice right away. 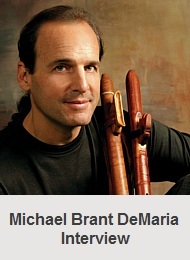 It’s some of the best songs available from the experts at Windham Hill. 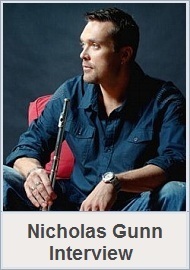 Visit legacyrecordings.com to sample or purchase A Windham Hill Christmas by Various Artists, or find at Amazon.com. This concludes my 12 Best Christmas holiday album recommendations. 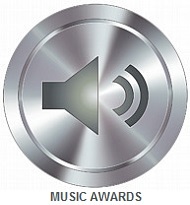 On January 1 2012 New Age Music World will present the Best New Age Music Album Awards for 2011. 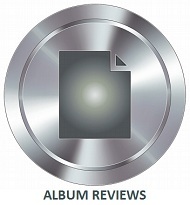 There are many great releases this year, and I will publish my recommendation for Best New Age Albums on New Year’s Day 2012. Cover arts are courtesy of each individual artist. Photo copyright Big Stock Photo by Subbotina Anna & ppart. Jim Brickman’s holiday tour dates for 2011 has been released, and is currently posted at his website in entirety. 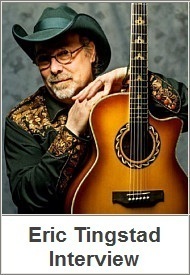 Along with the 2011 holiday tour dates, there is a partial to be announced concert schedule in 2012 included on his tour page too. The holiday tour, billed as “A Christmas Celebration” which begins November 26, 2011 thru December 31, 2011, includes special guest vocalist Anne Cochran and Ben Utecht, with violinist Tracy Silverman. Jim Brickman is a multi-platinum pianist and recording artist entertaining crowds for years with his award winning collection of popular piano music which can range from solo piano, popular, mainstream music, adult contemporary, and of course there is a wonderful selection of Christmas albums to choose from. 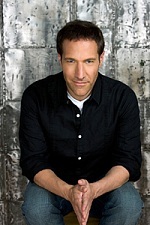 With 6 of his releases achieving gold and platinum, Jim Brickman has also been recognized as the greatest male performer in the adult contemporary genre category. 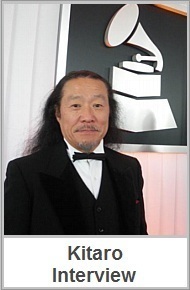 His 18 hymns of inspiration release entitled Faith was nominated for a GRAMMY® Award in the Best New Age Album category in 2010. Some of my favorite songs on Faith are Amazing Grace, Morning Has Broken, Faith (title song) & Jesu, Joy Of Man’s Desiring. Jim Brickman’s “A Christmas Celebration” holiday tour begins November 26, 2011 in St. Louis Missouri at the Touhill Performing Arts Center, and runs through December 31, 2011 in Rockford Illinois at the Coronado Performing Arts Center. 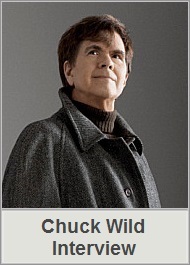 There is even a concert venue near where I live in Springfield Missouri scheduled for November 27, 2011 at the Hammons Hall for the Performing Arts. Again I would like to point out the dates shown above are beginning and ending concert dates only. Writing a Jim Brickman concert review about his Springfield Missouri performance is a pretty good possibility. Based purely on his skill level and talents as a pianist, it only stands to reason why many people like me already consider Jim Brickman one of the greatest piano artists in modern times. I hope to see you there! Sponsors for his Holiday Concert Tour in 2011 are American Greetings and John Q. Hammons Hotels & Resorts. 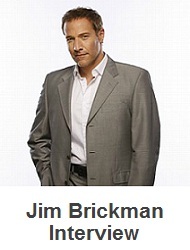 Visit the jimbrickman.com homepage and find his Holiday Concert Tour schedule for 2011 & 2012. Read my pages for Jim Brickman. Photos are courtesy jimbrickman.com. 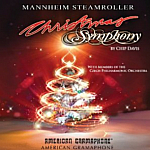 Mannheim Steamroller founder Chip Davis has recently announced his annual holiday celebration “The Christmas Music of Mannheim Steamroller by Chip Davis” will begin their Christmas concert tour season on November 10, 2011 and will continue until December 31, 2011. It’s a fact Mannheim Steamroller is the most popular Christmas music artist of all time! The Mannheim Steamroller Christmas tour schedule for 2011 has been released, and is currently posted at their website in entirety. After the 25 year anniversary tour last year, Chip Davis will continue the holiday tradition of live performances for audiences around the country. 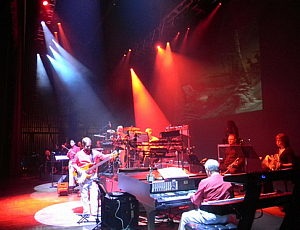 Mannheim Steamroller concerts have constantly been in high demand for many years, so presently two individual bands will perform about 90 concerts during the 2011 concert season. The West Coast Tour begins with a concert at the Crystal Grand in Wisconsin Dells, Wisconsin on November 11, 2011 and continues through the ending concert at the Abravanal Hall in Salt Lake City, Utah on December 23, 2011. The East Coast Tour begins with a concert at the Emens Auditorium in Muncie, Indiana on November 10, 2011 and continues through the ending concert at the State Farm Arena in Hidalgo, Texas on December 30, 2011. Again, I would like to point out the dates shown above are beginning and ending concert dates only. Visit MannheimSteamroller.com homepage for news and the full concert tour schedule posted at their website. Sign up for the M.S. newsletter for the latest info, and shop at the Mannheim Steamroller store for a wide range of gift ideas. Concert photo is courtesy Janet Taylor & mannheimsteamroller.com. The Christmas season has officially arrived and what a special time of year ! While I believe most site visitors realize the true meaning of Christmas and the real reason we celebrate this special day in the highest regard, our time honored tradition of gift giving continues which naturally raises the question of what makes a suitable gift for our friends or loved ones. Lisa Downing from Littleton Colorado is a musician with a promising answer on what makes not only a suitable gift, but a personalized one most people would enjoy receiving and a gift most likely to renew their true reason for the season Christmas spirit like her CD album did for me. Actually, when you take into consideration every aspect of purchasing the relatively inexpensive and long lasting gift of music for nearly every gift occasion, this easy to make decision translates into a logical choice. 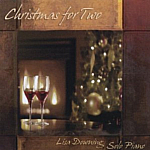 Lisa Downing has a Solo Piano album titled Christmas for Two that may be of interest to you and while there are many exceptional Christmas albums in the New Age genre along with every musical taste, Lisa Downing has a special gift herself as a top solo pianist in every sense of the word and this is precisely articulated on her Holiday music release. Plus, knowing Lisa was a youth pastor at her church in Littleton earlier in life and performed in the Christian, Folk, Pop-Rock band named Wings of Faith, you know that Lisa’s heart is in the right place. 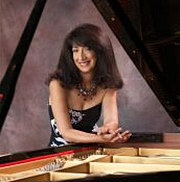 Her lifelong commitment as a professional musician are praiseworthy too since Lisa Downing earned a university degree in music, attending both the University of Colorado at Denver and Metropolitan State College, receiving a joint specialized BA degree in Traditional and Non-Traditional Music with keyboard emphasis. Lisa is also an esteemed concert pianist having toured or performed with other renowned artists like David Lanz, Suzanne Ciani, Liz Story, and Peter Kater. Christmas for Two on her Vision Quest Entertainment label is a Solo Piano Christmas album cordially personifying Lisa Downing’s expressive talents in several ways, plus the 12 holiday tracks are perfect in the sense they reveal traditional holiday music in her skillful expressive touch like you would hear while attending one of her highly personalized concerts. While Christmas for Two is considered New Age / Neo Classical, I trust any label is of less regard here since every piece chosen for the album will be identifiable and appreciated by everyone like The First Noel / Joy to the World. You will notice her Holiday release is composed with a delicate balance by the companion format where two songs are united into one like heard on All through the Night / Away in a Manger so there are actually 22 titles in all with the single song exceptions of Silent Night, Canon in D Christmas Medley, and Angels We Have Heard On High. The traditional holiday pieces What Child Is This / We Three Kings and then O Holy Night / It Came Upon a Midnight Clear were my 2 favorites, plus I found the richness in depth and quality intonation regarding her performance on a Yamaha C7 Acoustic Piano was proficient in entirety like I had expected. Every song on Christmas for Two is delivered with precision and Lisa’s personal creativity shines by the unique manner in which the songs were impeccably composed into one, with treble and bass notes reaching many proficient runs and chords in all ranges along the piano keyboard. Christmas for Two varies from soft and contemplative at moments to spirited phrasing with majestic crescendos like her amazing version of God Rest Ye Merry Gentlemen / Carol of the Bells which give new meaning to the term Holiday music. Now that you know I believe simply listening to Holiday music will help renew the Christmas spirit for anyone like it did for me, and where to search for Christmas Piano Solo music that brilliantly succeeds in establishing the seasonal tone, I hope to have been of some assistance today. I trust everyone will have an especially joyful Christmas this year while recognizing the greatest gift of all and true reason we celebrate the season. Visit lisadowning.com to sample / purchase. You can also visit her CDBaby.com page or Amazon.com page and read my review of A Delicate Balance on our pages dedicated to Lisa Downing. Lisa and her husband Pete Foster own a combined talent agency and record label representing over 1200 Colorado musicians so find out more at visionquestmusic.com. Album art courtesy NW Media. Photo courtesy Russell Smoak – The Inner Image. The Christmas shopping season is here and many people are shopping for the perfect gift. I wrote a review on a solo piano Christmas album for another top musician so let me tell you about a husband and wife team needing little introduction since they are easily recognized as top new age music producers. Holiday High by Cadence Spalding and Mars Lasar is a natural beauty by the traditional songs of familiarity on this seasonal album. The angelic vocals by Cadence blends into a beautiful interpretation throughout, while Mars displays his innovative talents of mixing and layering while adding his special creative touch and attentive technical leverage that easily sets this album apart from many others. Holiday High is their traditional Christmas album displaying the serene qualities of a highly talented couple who have earned a respected position of esteem in the music world by their individual albums and collective projects together. Christmas From Mars is an equally beautiful traditional album with all of the extra enhancements that likewise makes another enriching gift, easily becoming 2 pleasing and joyful holiday albums I can recommend for all listeners. If you are searching for a great gift for someone, or wish to revive your own personal spirit of Christmas enjoyment this year and every year, both albums are a wonderful family edition designed for traditionalist and new age music fans alike. 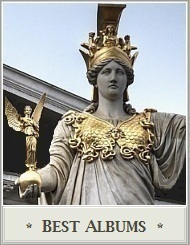 Sample and purchase these albums by Mars Lasar and Cadence Spalding at their Amazon.com page. The Christmas shopping season is here and many people are shopping for the perfect gift. I recently wrote an album review about a solo piano Christmas album by a top new age artist so let me tell you about another fine Christmas album by vocalist Cadence Spalding, a respected new age vocalist and music producer. Holiday High by Cadence Spalding is a natural beauty by the traditional songs on this seasonal album. The angelic vocals by Cadence blends into a beautiful interpretation for each song, including innovative mixing and layering that sets this Christmas album apart from so many other releases. Holiday High is a traditional Christmas album displaying the serene qualities and the voice of a respected new age vocalist Cadence Spalding. This new age electronic and vocal album is a joyful holiday album I can recommend for all listeners. If you are searching for a great gift for someone Holiday High is a wonderful family oriented edition designed for traditionalist and new age music fans alike. Visit CadenceSongs.com and sample or purchase Holiday High at Amazon.com. Another great release is Cadence Spalding’s new age vocal album titled Save The World. Album cover courtesy cadencesongs.com. The Christmas shopping season has arrived and many people are shopping for the perfect gift. I recently wrote an album review about a solo piano Christmas album by a top new age artist so let me tell you about another fine Christmas album by Mars Lasar, another top new age music producer. Christmas From Mars is a beautiful traditional album with all of the enhancements and innovative technical leverage in which Mars Lasar is recognized. This special electronic new age album will likewise make an enriching gift year after year. 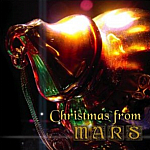 Christmas From Mars is a pleasing and joyful holiday album I can recommend for all listeners. If you are searching for a great gift for someone, or wish to revive your individual spirit of Christmas enjoyment this year and every year, this particular album is a wonderful family edition designed for traditionalist and New Age music fans alike. Visit MarsLasar.com to sample and purchase Christmas With Mars, along with Mars Lasar’s complete line of top new age releases. Album cover courtesy marslasar.com.